"Any Recommended Studio Monitors for the Renegade Music Producer?" Recommended Studio Monitors: You asked for it! ... you need professional studio monitors to lay down industry level tracks. Why? Your PC (multimedia) or Hi-Fi speakers were designed to make the audio sound good (which is bad as you'll see below), and they weren't designed to handle the torture you'll inflict on them when you create your own music! A quality pair of near-field monitors will represent audio as it is (not "better" than it is), and will be able to handle every sonic frequency you pump through without distorting the quality of the audio. What type of monitor do you need to buy? You'll need at least one pair of near-field monitors, in other words, monitors which are designed for a 1m to 2m listening distance. You may want to add a sub-woofer if your room and style calls for it. Active monitors have a power amp built in, so they cost more than passive monitors. Passive monitors require a separate amp so the may be the cheaper should you already have an external power amp. Active monitors can give you ease of use since you don't have to match your monitors to your power amp as you'd do with passive monitors. You may however want to mix and match monitors and power amps to chase the ultimate sound. So the passive monitors + external power amp option may just be your route of choice. I'd say active monitors are good for starting off with, because they are easy and require less technical knowledge to hook up. What's the difference between a 2-Way and 3-Way monitor? A 2-Way monitor has 2 sound drivers, the woofer which handles bass frequencies, lower mids and mid frequencies, and the tweeter which handles the higher mids and high frequencies. A 3-Way monitor has a woofer for bass, a midrange driver for mids and a tweeter for high frequencies. I'll assume you're talking about the woofer, in which case it depends on the size of your, er... room. All kidding aside. You don't want too much power in a tiny bedroom studio with bad acoustics. So 30- to 40-inches may do the job. Increase only as your room size and design allows. Bigger isn't always better when it comes to woofers. Appropriate is the word here. Match the speaker to the space. Depends what you are mixing for and where you expect your music to be played. You can do most of your production with good pair of near-fields, though a sub-woofer is an excellent idea because it allows you reference your mixes for the larger club systems. Well, almost. At the very least it gives an extra reference if used in a room that allows for it. Your sub-woofer will allow you to listen to your bass frequencies at a louder level (closer to the club level) because it has a much larger woofer cone (dedicated to reproduce only bass frequencies) than near-field monitors. And, and, and... it can send your neighbors up the walls if abused. Bonus! In short, you can get along fine without a sub but having one cannot hurt. So, how do I tell good quality recommended studio monitors from bad ones? I wish I could just give you a brand name and model number and say... "Get these and you're sussed and sorted.". Your ears, your current location, your current gear, your style and musical preferences, and your budget will all influence your choice. Buying studio monitors for your music production is a very personal thing which requires research and testing to get right. Every bedroom producer posting on the Internet will have an opinion, and that's great, unless they automatically assume their own monitors are the best, without proper testing. Your best bet for useful opinions would be to check pro sound magazines for recommended studio monitor reviews done by more professional cats who work in the industry. Especially if you plan on higher-end monitors. ... hit a music store with a listening room for pro monitors with 5 or 6 CD albums you know very well. You can then compare the recommended studio monitors on your list with each other (only two at a time) to find the best pair for you. ... a good tight bass response, not muddy, blurred, or distorted. ... clarity across mid and high frequency ranges with no buzzing or specific frequencies jumping out at you. ... a good stereo image, wide and deep. ... steady performance and stability at loud volumes, no rattling or noise. ... good presence and imaging at lower volumes. Don't buy from the music store though because you may just have a better price available elsewhere. Check the Internet for the lowest price available for your chosen monitors (make sure you buy from a reputable company though!). Your choice of pro studio monitors for your music production will make a definite difference to the quality of your music because it's a vital part of the signal chain in your studio. Remember, as with most studio equipment you get what you pay for, so more expensive monitors will most likely be better (not always, mostly though) than cheaper ones. 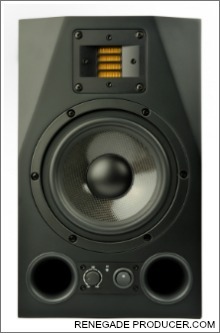 Decent studio monitors will set you back at least a couple of grand. That's just to get in the game! I understand that for many new producers it may seem way too much. It's not, if what you want is to hear what you're doing in your studio. Remember: You need to consider many important factors when you decide to buy studio monitors. 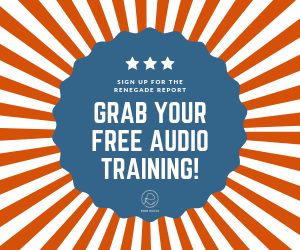 These include your intended use for the monitors, the style of your productions, the size and response of your room, and most importantly what satisfies your ears and brain. You can't just go with any old recommended studio monitors and think they'll work for your studio and taste. If you liked this content please share it with other producers. Thanks!